The CentRx Pharmacy on the Desert Springs Hospital campus makes getting prescriptions and picking up over-the-counter items quick and easy. 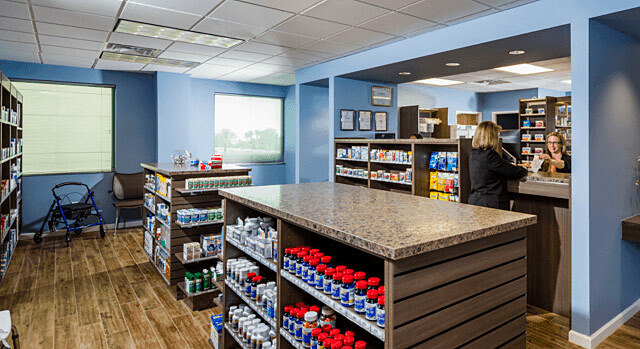 Located in the front lobby, adjacent to the gift shop, the CentRx Pharmacy is open Monday through Friday, from 9 a.m. to 5:30 p.m. (closed Saturday and Sunday) to fill prescriptions written by physicians at Desert Springs Hospital or any other healthcare provider in the region. The pharmacy accepts most major prescription plans including Medicare Part D.
If your refill order is not confirmed or if you have any questions, please call the pharmacy at 702-425-4939.